Timothy has more than 20 years experience successfully selling real estate both in California and the US, as well as in his native land of New Zealand. He has extensive management, investment and marketing experience in the real estate industry, having worked and consulted with Best Image Marketing, the top internet marketers for realtors in North America, and located in Lake County. Both a high Individual producer, having closed over 130 transactions in a year, and a skillful sales manager. In 2003 and 2004 he sold property to more buyers in the whole of Lake County than any other realtor. In 2005 he has sold more properties for both buyers and sellers than any other realtor in the County. In 2006, as well as 2007, he again sold more properties than any other realtor. In 1990 he led his sales team to the #1 residential sales production award in the whole of New Zealand. He has invested personally in real estate extensively in many different kinds of property including single family homes, fixer-uppers, apartment buildings and raw land. He has bought several properties 'creatively' with no money down. As he has made money in real estate, so will he help you. 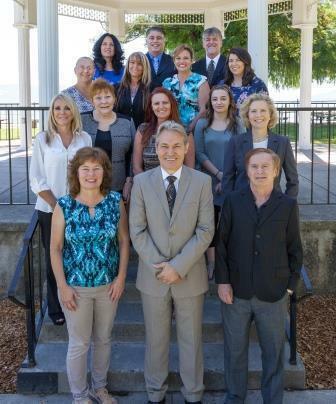 A resident of Lake County since 1991, Timothy brings a combination of personal skills and in-depth experience to ensure your real estate experience is as positive and beneficial for you as possible. I don't "sell" in the conventional sense, by trying to get you to do something, such as to sell or buy a property, that benefits me by earning a commission. In fact I don't think about commissions at all. My purpose is to help my clients consider their options. My job is to get you to make a well-informed decision. It may be to buy or sell, or it may not. It doesn't matter. If you reach a conscious decision, that is success for me. In fact sometimes I will recommend not to buy or sell, even though this will not be in my immediate financial interest. This enables my clients to trust me, and for me to provide optimum service ethically and with real integrity. Many of my clients are my friends, and I have done business again and again with them, so I really couldn't operate any other way. This way of operating has been successful financially for me, but that is secondary. I have sold real estate for a long time, and I have had to make sure that how I conduct my profession is in accord with the fundamental principles of how I live my life. This is how I do it. 1997, 1998, 1999, 2000, 2003 (96 transactions), 2004 (130 transactions), 2005 (127 transactions), 2006 & 2007. Top selling realtor, all companies, for Cobb Mountain area of Lake County. 2003 Highest number of buyers sold (63), all realtors, all companies for Lake County (over 400). 2005 Highest number of total transactions (127), highest number of buyers sold (57.5), highest number of listings sold (66.5) and highest volume $19.5 million of any Lake County realtor. 2006 Highest number of total transactions (64), highest number of buyers sold (24), highest number of listings sold (40) of any Lake County realtor. $14.5 million sales volume. 2007 Highest number of total transactions (49.5), highest number of listings sold (30), highest number of buyers sold (19.5) of any Lake County realtor. $10.2 million sales volume. 2009 Highest number of buyers sold (26) of any Lake County realtor. The 6th time in 7 years. 2010 Second highest number of buyers sold (19) of any Lake County realtor. 2011 Highest number of buyers sold (30) of any Lake County realtor. 2012 Highest number of buyers sold (45) of any Lake County realtor. The 8th time in 10 years. 2013 Second highest number of buyers sold (35) of any Lake County realtor. 2003-2013 Highest selling agent in Lake County 8 times. 2001-2014 Total of 900 transactions and $124+ million in closed sales. All sales figures are Timothy's individual figures and do not include sales for other team member.